Born June 4, 1992 in Pleven, Bulgaria. Likes drawing, games and music. Loves animals. 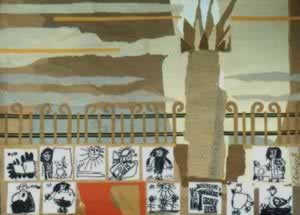 In 1996 she took in her father's exhibition "Collages", cycle "With a Little Help of My Daughter". Web design by Valentin Mitkov. All rights reserved.